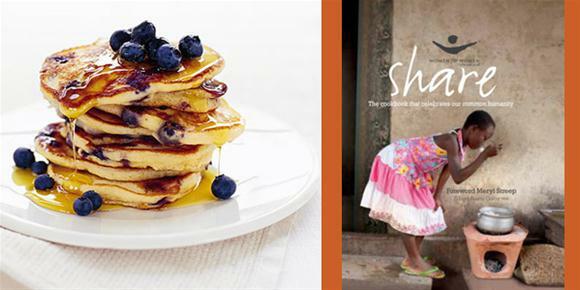 Indulge in these delicious fruity pancakes the next time you want to treat the entire family to a homemade breakfast. The recipe takes just 10 minutes to prepare and 40 minutes to cook, so make sure you have the drinks and other condiments on hand before dining! Combine the flour and baking powder into a bowl, then make a well in the middle. Next, crack the eggs, add the milk, then stir with a wooden spoon. Melt the butter in the microwave for 10 seconds, then add it into the bowl. Heat up a pan, then add small drops of the mixture at a time. Cook on both sides until golden brown, then serve. 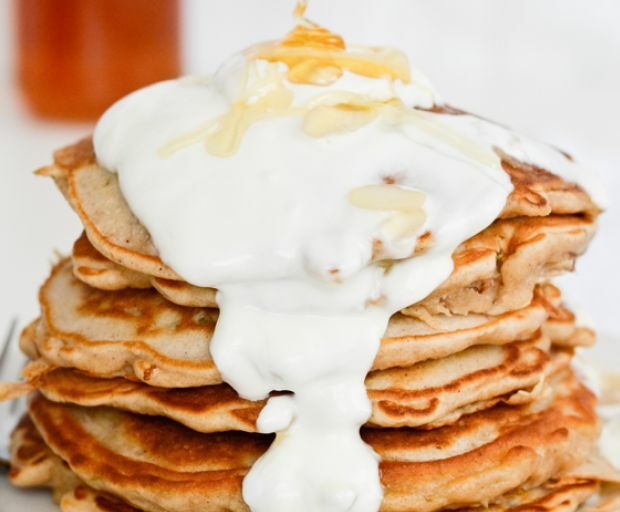 Layer the pancakes with sliced pear, honey, yoghurt and a side of fresh juice for the family. Not all pancakes are bad, right? Well, our favourite pancake recipe for a lazy Sunday morning breakfast is super healthy, takes just 10 minutes to create from scratch, and tastes absolutely delicious! Serve with a warm green or chamomile tea for a super-relaxing day off. Combine the flour and baking powder into a large bowl. Add the milk and eggs, making to sure to mix well between each ingredient. Melt the butter over a warm frying pan or in the microwave for 5 seconds, then add it into the mixture. Stir well. On another pan, add one tablespoon of the batter and flatten it out. Cook on both sides until golden brown. Serve with a side of blueberries, or add them into the batter before cooking on the stove. Add some maple syrup over the top for extra flavour. There’s nothing better than starting the weekend with an indulgent brunch, and this choc chip pancake recipe will become a family staple. Use your favourite pancake mix and make the luscious maple nectarines while you’re flipping the pancakes and you’ll have breakfast on the table in less than 20 minutes! 1. Prepare pancake mix following the directions on the packet. Melt a little butter in a frypan, add 1/2 cup of the pancake mix, sprinkle with some choc bits. 2. Cook until bubbles appear on the surface, flip and cook until golden. Repeat with the remaining mix and choc bits. 3. Heat the maple syrup and nectarines and bring to boil, cook until the nectarines are soft. Serve stacks of pancakes topped with nectarines in syrup. What’s your favourite brunch recipe? 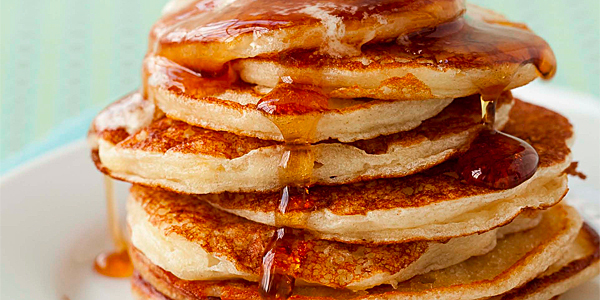 Whip up a batch of these fluffy buttermilk pancakes this weekend – don’t forget to serve with butter and maple syrup (and a side of crispy bacon!). 1. Whisk the eggs, then add the but­ter­milk and melted but­ter and keep whisking until just com­bined. Add the flour, sugar, bak­ing pow­der, bak­ing soda, and salt and whisk gen­tly until the flour is incorporated, being careful not to overmix. 2. Heat a large fry­ing pan over medium heat (if it starts smoking, take it off the heat and allow to cool down to medium). Add a small knob of but­ter to the pan. When melted, pour 1/4 cup of the batter into the pan. If there is enough room in the pan, pour another 1/4 cup to make another pancake, leaving 5cm between each pancake. 3. Cook until the surface of the batter is dotted with bubbles, about 2 minuets, then flip with a spatula. Cook on the other side until the batter is no longer runny, about 1 minute. Remove and keep warm. 4. Con­tinue cooking the remain­ing pan­cakes in the same way. 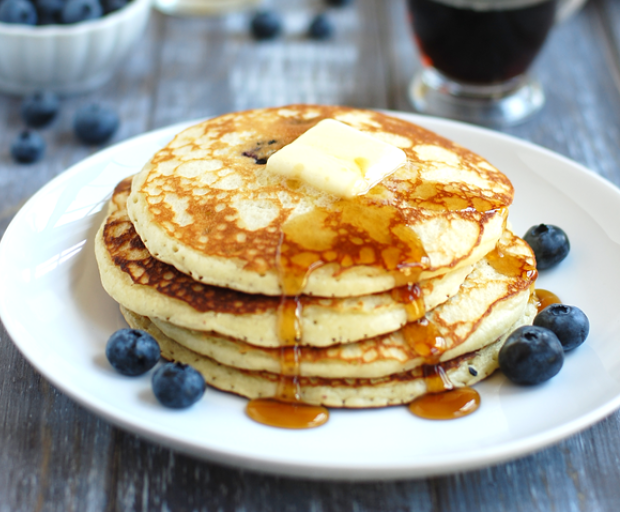 What’s your favourite pancake recipe? 1. In a large bowl, mix together the flour and the milk powder, sugar, baking and bicarbonate of soda. Make a well in the centre. Pour in the beaten eggs and 1 tablespoon oil or melted butter, add the apple sauce and start mixing together, then gradually stir in the milk until the batter is a dropping consistency. Stir in the flavourings of your choice, if you are adding them. 2. Heat a little oil or melted butter in a large non-stick frying pan. Drop a large tablespoon of the batter per pancake into the pan. Cooking in batches of 2–3, fry for 3 minutes over a medium heat until small bubbles appear on the surface. Turn and cook the other side for 2–3 minutes or until golden. Remove from the pan and keep warm, covered, while you continue cooking with the remaining batter. 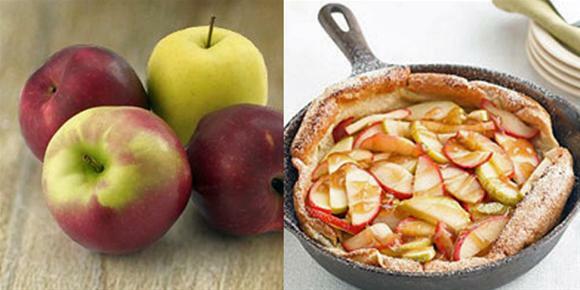 Serve drizzled with maple syrup or honey, or with yogurt and fruit or another topping of your choice.